On a tight budget but not willing to roll the dice on a used car? 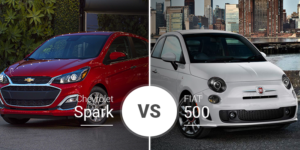 A lower-priced compact car may be a great option for you. 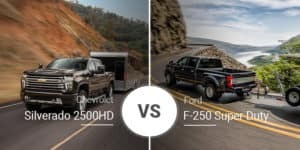 And two great options in this segment are the 2018 Ford Focus and 2019 Chevy Cruze. 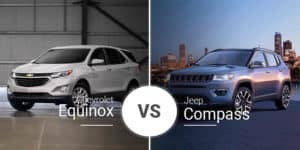 Both offer a lot of bang for the buck, loads of options, and outstanding fuel economy. But which is better for our Linwood, Michigan area buyers? Keep reading to find out. In the compact-car segment, it’s common to see automakers offer multiple versions of the same vehicle, and this is the case with the 2019 Chevy Cruze and 2018 Ford Focus. Both of these small people haulers offer sedan and hatchback bodies, giving buyers some cargo-management and style options. While the Focus looks great, the 2019 Chevy Cruze boasts the newer look of the two. The 2019 Cruze’s looks are far sportier than the Focus — save for the ST and RS models not included in the comparison — with its pointed nose, sharp bodylines, and sporty Cruze RS package. The Focus, however, uses a more subtle and traditional design language, which appeals to buyers who prefer a more low-key vehicle. The Cruze sedan is 183.7 inches long, 70.5 inches wide, and 57.4 inches tall. It rides on a 106.3-inch wheelbase. The 2018 Ford Focus Sedan is shorter and wider than the Cruze at 178.7 inches long, 74.1 inches wide, and 57.8 inches tall. The Focus’ wheelbase is shorter at 104.3 inches. As a hatchback, the 2019 Cruze measures 175.3 inches long, 70.5 inches wide, and 57.7 inches tall. It rides on the same 106.3-inch wheelbase as the sedan. The 2018 Focus hatchback is 171.7 inches long, 74.1 inches wide, and 57.8 inches tall. Its wheelbase is also the same as the sedan at 104.3 inches. Neither of these compact cars feature an overly stylish or modern cabin, but the recently redesigned Cruze’s cabin is a touch more modern. The Cruze’s optional leather package adds additional soft-touch materials on the dash for some added class. Inside, the 2019 Chevy Cruze sedan’s front seats have 38.9 inches of headroom, 42 inches of legroom, 54.8 inches of shoulder room, and 53.1 inches of hip room. In the rear, it offers 37.3 inches of headroom, 36.1 inches of legroom, 53.7 inches of shoulder room, and 51.9 inches of hip room. The 2018 Ford Focus sedan’s front seats are roomier than the Cruze’s with 38.3 inches of headroom, 43.1 inches of legroom, 55.6 inches of shoulder room, and 53.9 inches of hip room. In the rear, the 2018 Focus has more headroom at 38 inches and hip room at 52.8 inches, but its 33.2 inches of legroom and 52.6 inches of shoulder room are 2.9 inches and 1.1 inches tighter, respectively. The 2019 Chevy Cruze hatchback’s front seats have 37.8 inches of headroom, 42 inches of legroom, 54.8 inches of shoulder room, and 53.1 inches of hip room. In the rear, this hatchback has 37.3 inches of headroom, 36.1 inches of legroom, 53.7 inches of shoulder room, and 51.9 inches of hip room. 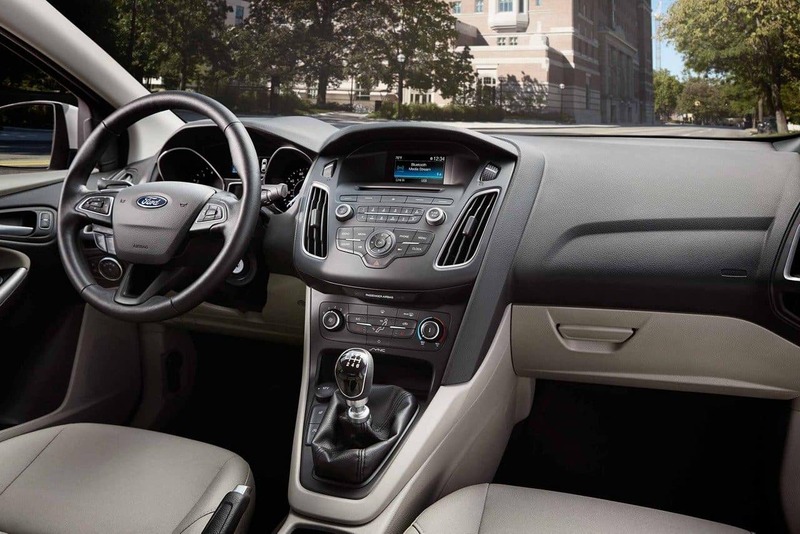 The 2018 Ford Focus hatchback’s front seats offer more room across the board with 0.5 inches more headroom, 1.1 inches more legroom, 1.8 inches more shoulder room, and 0.8 inches more hip room than the Cruze’s front seats. In the rear, the Focus hatchback has an extra 0.7 inches of headroom and 1.1 inches of hiproom, but it comes up short by 2.9 inches in legroom and 1.1 inches in shoulder room. Though these are small vehicles, they still have to handle some cargo. In the sedan body, the 2019 Cruze can swallow 13.9 to 14.8 cubic feet of cargo to the Focus sedan’s 13.2 cubes. The hatchback models are more versatile as the Cruze can tote 22.7 to 47.2 cubic feet of cargo, while the Focus hatchback can handle 23.3 to 43.9 cubes. These small people haulers are focus mostly on fuel economy instead of power. The 2019 Cruze uses a 1.4-liter turbocharged four-cylinder engine that produces 153 horsepower and 177 pound-feet of torque. This engine pairs with a standard six-speed automatic transmission. Buyers looking for a little more fuel efficiency and low-end torque can opt for the 1.6-liter four-cylinder turbo-diesel with 137 horsepower and 240 pound-feet of torque. This power routes through a nine-speed automatic transmission. The 2018 Focus boasts a standard 2.0-liter four-cylinder engine with 160 horsepower and 146 pound-feet of torque. This engine pairs with a standard five-speed manual transmission or an optional six-speed PowerShift automatic transmission. 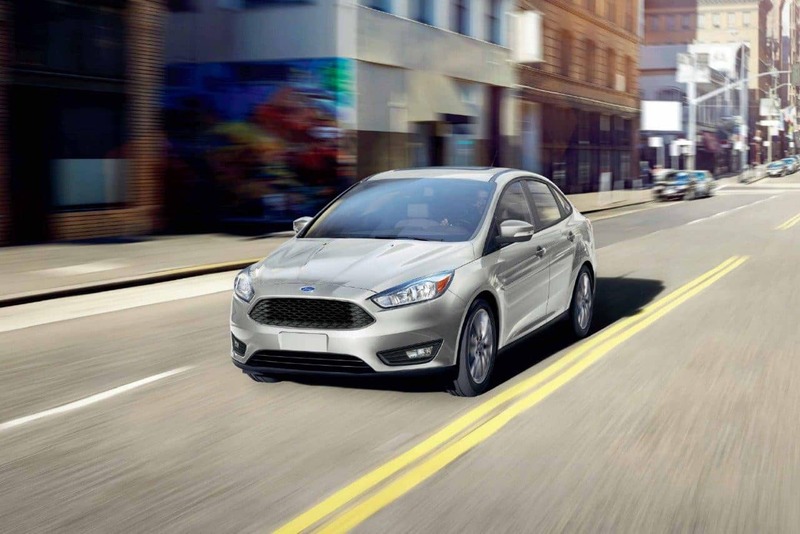 The Focus SE sedan is the only model in the lineup that comes with a different engine, and that is a 1.0-liter turbocharged three-cylinder with 123 horsepower and 125 pound-feet of torque. This engine pairs with a standard six-speed manual transmission or an optional six-speed PowerShift automatic transmission with SelectShift. While power is an afterthought, fuel economy is front and center for both vehicles. With the 1.4-liter engine, the 2019 Cruze gets up to 30 mpg city, 38 highway, and 33 combined. Opting for the diesel engine pushes these numbers to 31 mpg city, 48 highway, and 37 combined. 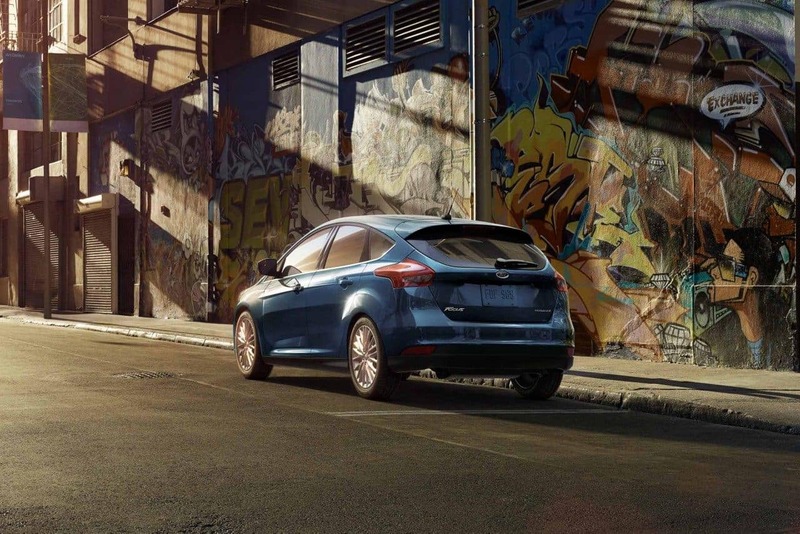 The Focus with the 2.0-liter engine delivers up to 26 mpg city, 30 highway, and 31 combined. Opt for the sedan SE and get the 1.0-liter three-cylinder engine that pushes these numbers to 30 mpg city, 40 highway, and 34 combined. 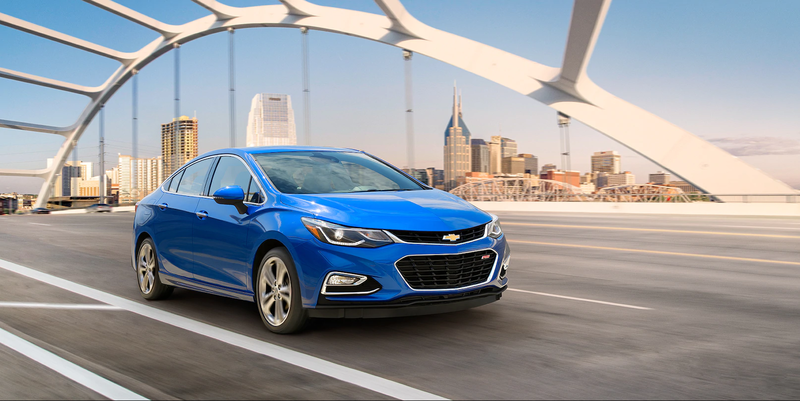 With its two body styles and two engine options, and array of trims, the 2019 Chevy Cruze has nine variationsthat range from $18,870 to $26,995. 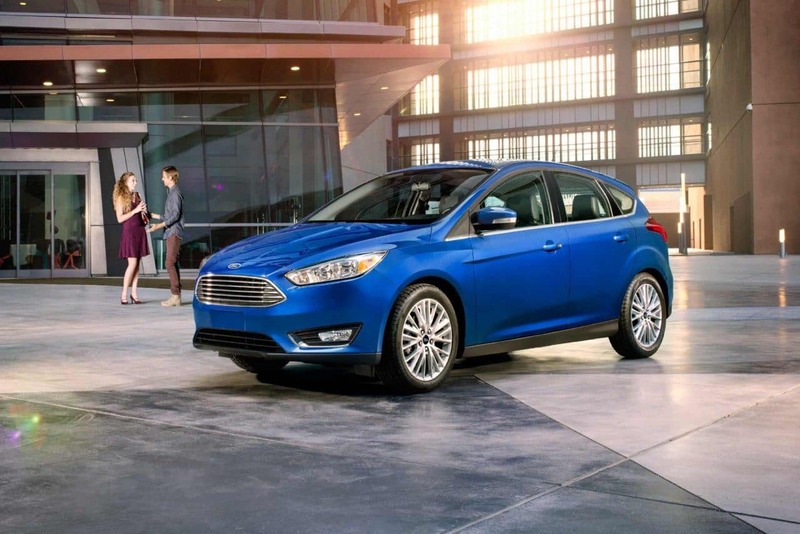 The 2018 Ford Focus also has its two body styles, plus it has four trim levels. Pricing ranges from $17,950 to $24,470. Who Should Buy the 2018 Ford Focus? Buyers who are willing to sacrifice styling and a little rear seat room for about $1,000 in savings will find the Focus a better bet than the Cruze. The 2018 Focus is also great for buyers looking for a toned-down appearance. 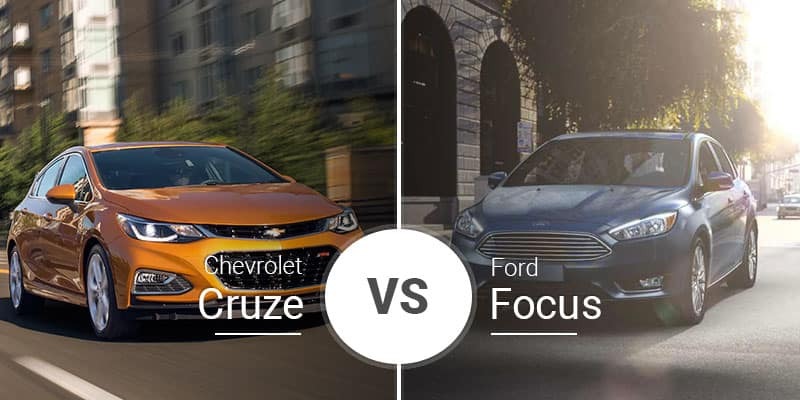 Who Should Buy the 2019 Chevy Cruze? Want to save big on gas? The 2019 Cruze is the perfect buy. Plus, its optional diesel engine delivers even better fuel efficiency and a healthy helping of low-end torque. Add to that a roomier rear seat and more overall cargo space, and you have a great buy. Ready to try the 2019 Chevy Cruze for yourself through the streets of Linwood, Michigan? Come down to the Garber Chevrolet Linwood showroom serving Bay City, Linwood, and Standish, Michigan for a test drive. Can’t make it in today? You can also check out our online inventory to see what 2019 Cruze models we have in stock.